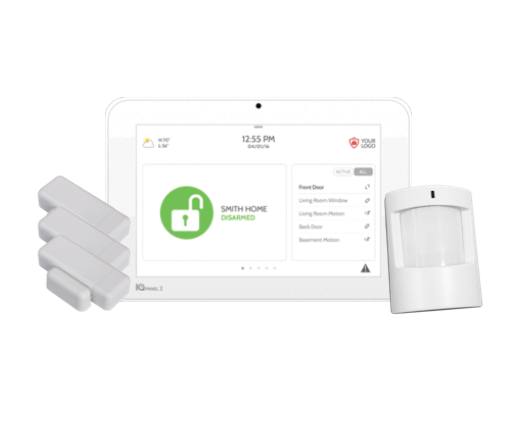 Protect your family and home with Link Interactive’s wide selection of wireless DIY home security equipment. Install motion sensors, window, and door sensors to be alerted if anyone is entering your home. Access and manage all your security equipment from one central alarm control panel. Instantly get alerts for shattering glass with our wireless glass break sensor. Other home security equipment that Link Interactive offers include panic buttons, and much more. 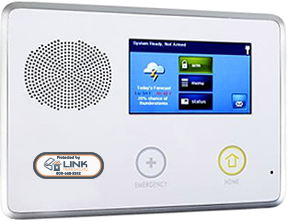 Start building up your home security with equipment from Link Interactive today. The 2GIG Go!Control panel packs high-tech wireless technology into a compact, user-friendly unit for the DIY homeowner. Full voice response, quick access emergency buttons and multiple arming options maximize your security needs, while the convenience of an interactive panel, home automation, remote access and over-the-air software updates keep you continuously on top of technology. By maximizing the features, you can turn off the alarm system prior to the kids arriving home from school, be notified when they arrive home, keep the medicine cabinet armed even when the rest of the home is unarmed, and know by user code who is arming and disarming the system. The functionality of the Go!Control panel seems to be endless once you see how easy it is to customize the panel to get the information you desire. 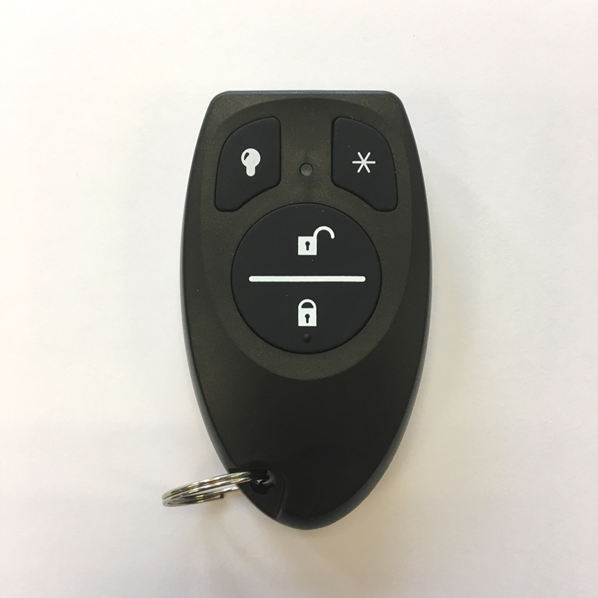 The key ring remotes are small, portable touchpads which allow you to conveniently arm and disarm your security system or to initiate a panic alert. Consider ordering additional units to give one to each family member, trusted neighbor or your cleaning service! Each remote is uniquely identified by the security system and you may have up to eight remotes on your alarm system. The wireless remote keypad gives you the ability to arm and disarm your system, along with two 24/7 emergency buttons. 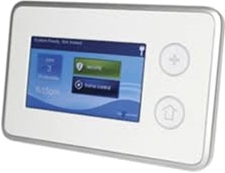 For use in the master bedroom, frequently used exit doors or anywhere in the home where you want the capability of controlling your security alarm. The wireless touch screen keypad is an excellent addition to any 2GIG system, enabling you to more conveniently access and control your home security and home automation devices from any room in your house. Want to hide your door sensors? Recessed wireless door sensors sit inside the door sash and their frames, giving you the same functionality as a regular wireless door sensor. All you need is a drill and 3/4'' drill bit. 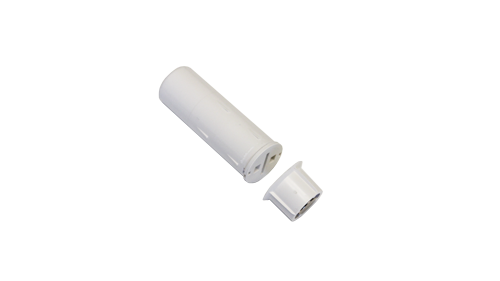 A 2Gig compatible wireless one-piece plunger door sensor, fully concealable in a wood door frame and easy to install. This micro-sized door/window sensor gives you the ability to set a temporary bypass on a zone at the push of a button on the sensor, rather than requiring you to disarm and then re-arm the security system. You are allowed one bypass per arming session. Perfect for letting out the family pet in the middle of the night or when someone leaves early for work and doesn’t want to disturb the family. The red LED on the sensor will let you know that it is bypassed. Once you close your door, the sensor re-arms. The wireless tilt sensor is compatible with the 2GIG Go!Control panel and works on tilting doors; it's an easy solution for your garage door. 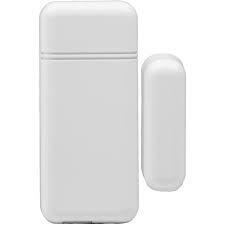 Outdoor wireless sensor for your doors/gates which hold up to harsh temperatures. 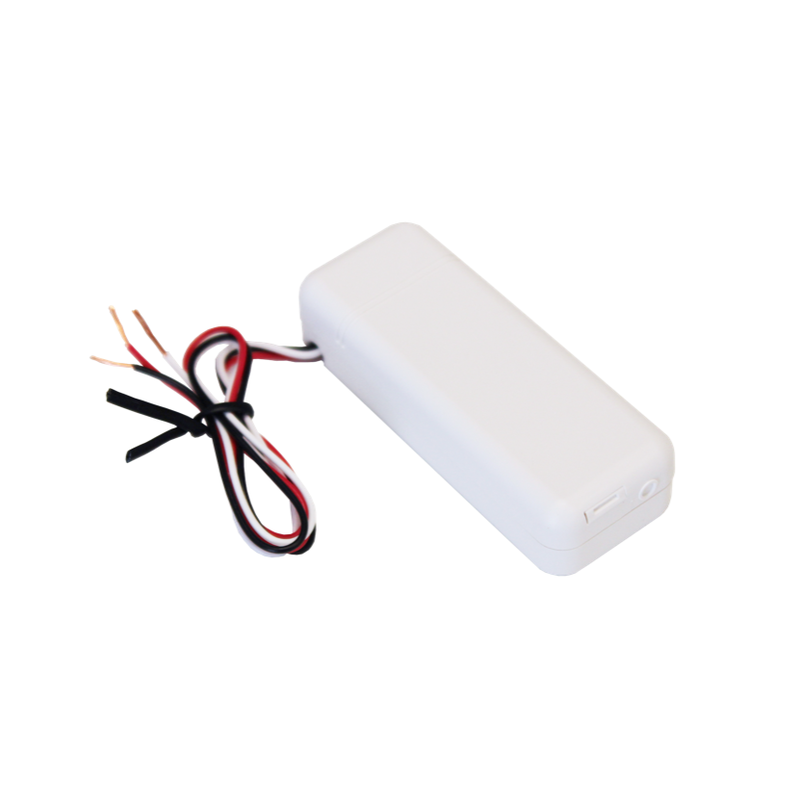 The wireless motion sensor detects infrared energy given off by persons in a 30'x35' area. 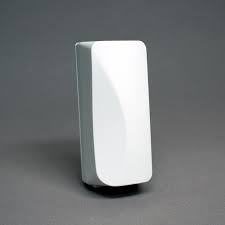 Motion sensors are typically used in large rooms, rooms with several windows and main hallways. These ''pet friendly'' sensors are able to discriminate between people and animals (up to 40 lbs), thus allowing your pet to roam freely within your home without causing false alarms. Each sensor comes with a wall bracket, however you may set it on your mantel, shelf, desk or entertainment console for easy portability. 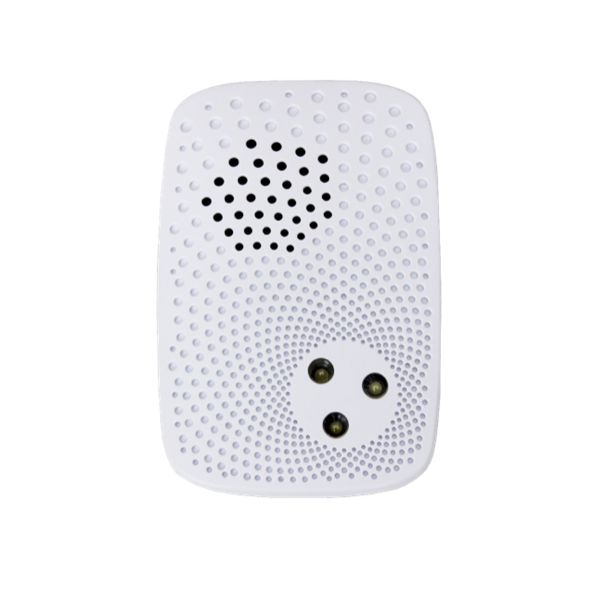 The Image Sensor is a pet immune PIR (passive infrared) motion detector with a built-in camera. 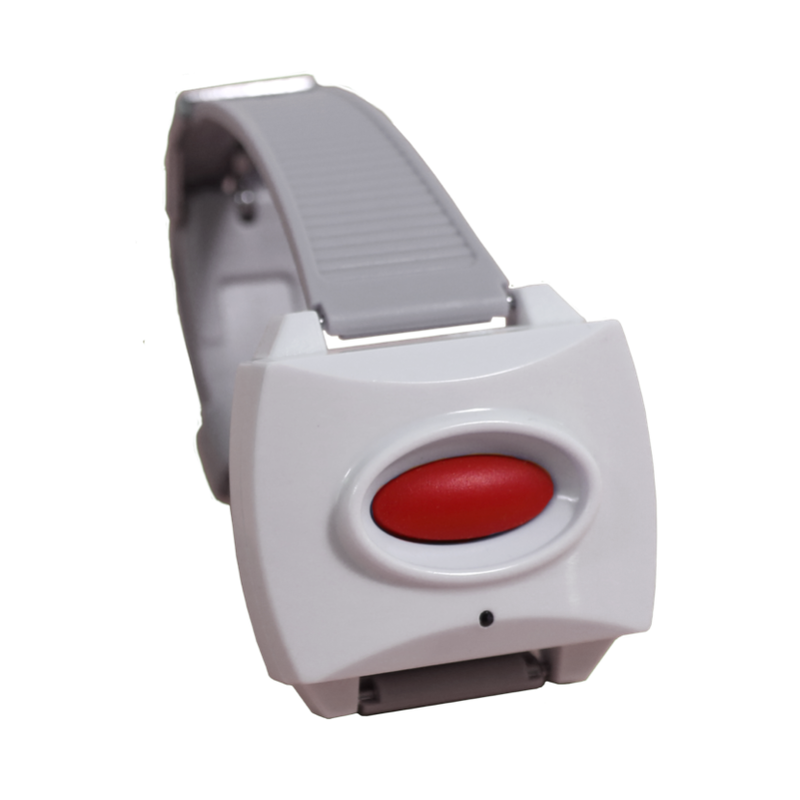 The sensor is designed to capture images during alarm or non-alarm events. Users can also initiate image capture on-demand to peek in on their property. Images are stored locally and uploaded either automatically when motion is captured during alarm events or manually when requested by the user. Once uploaded, images are available for viewing on the Alarm.com Website or an Alarm.com Smart phone app. The sensor is battery powered, all wireless, and simple to install and operate. A system with a 2GIG Cell Radio Module connected to an Alarm.com account with service plan subscription is required. The wireless glass break sensor listens for actual patterns of breaking glass using dual-stage glass break detection. It has a 15' maximum detection range and 360º maximum horizontal sensing angle, making it an excellent choice for rooms with multiple windows and/or glass sliding/french doors. The wireless water-resistant panic button is completely portable and comes with a necklace cord, wristband and belt clip. The pendant may be used anywhere in the home (even in the shower!) or yard. It can be programmed to summon either police or medical help. The wireless doorbell sounds with one of eleven selectable chimes from your 2GIG Go!Control Panel when the button is pressed. 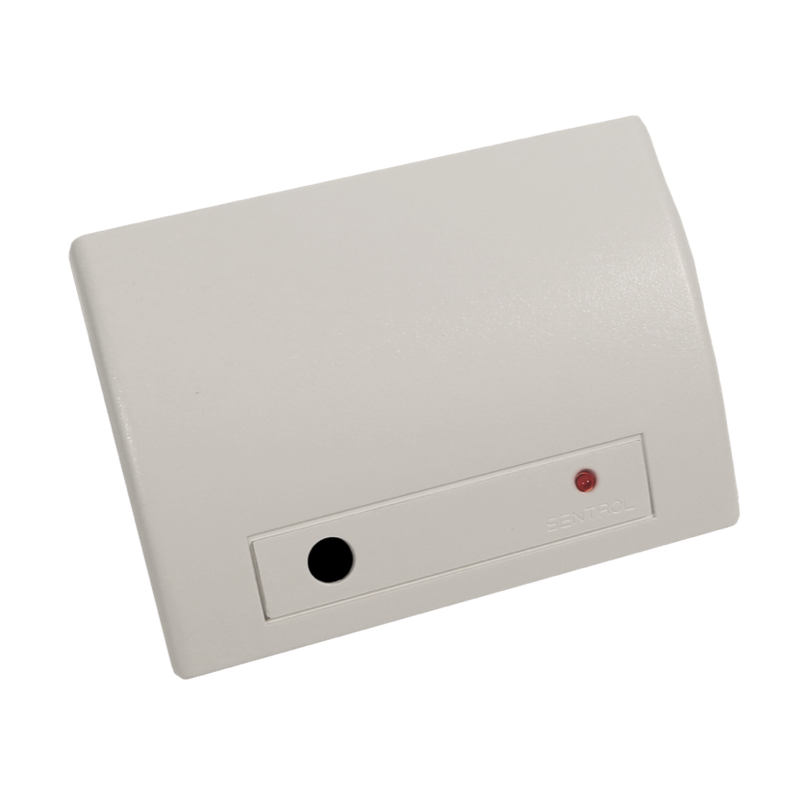 The wireless doorbell has a range of up to 350' (open air) and can be powered using the included battery or low voltage wiring. SSA will sound a loud audible alarm >[email protected] and an intense strobe lighting when an alarm signal is received by the Go!control panel. Qolsys IQ Panel 2 kit. The IQ Fob-S gives you keychain access your system. Using proprietary S-Line encryption technology, encrypts signals sent to the IQ Panel 2 while still providing compatibility for the original IQ Panel. The IQ Fob-S is disguised to look like a standard car remote and allows you to activate or deactivate your system within 100’ of the IQ Panel, and has the hidden feature of being able to activate an intrusion or “police” panic by pressing “lock” and “unlock” together for 3 seconds. The IQ Mini-S is an ultra compact encrypted sensor that securely connects to the IQ Panel 2. Using our proprietary S-Line encryption technology, encrypts signals sent to the IQ Panel while still providing backwards compatibility for IQ Panel. 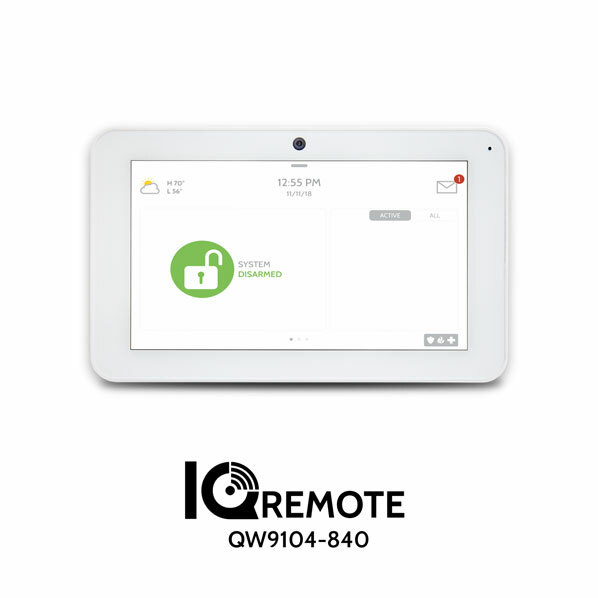 Easy to install on anything that opens or closes, the IQ Mini-S can provide intelligent notifications like "door left open" can be custom named, and can even support Smart home rules like "when door opens, turn on light" or "when door left open adjust thermostat to save energy." Boasting up to eight years of battery life, the IQ Mini-S uses an innovative board and antenna design to extend range and allow mounting on a variety of surfaces. The IQ Mini-S also includes a rare earth magnet for flexible mounting options in a variety of situations. Want to hide your door/window sensors? 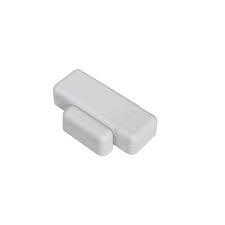 Recessed wireless door/window sensors sit inside the door or window sash and their frames, giving you the same functionality as a regular wireless door/window sensor. All you need is a drill and 3/4'' drill bit. The IQ Door Window-S is an encrypted sensor with superior range specifically designed to easily attach to any door or window. With a five year battery life and a slimmer form factor than other full sized sensors it can alert you if a door is left open, automatically adjust your smart thermostat to save you energy, and provide security for anything that opens or closes. Know when these doors and windows are opened with customizable chimes and unique names spoken by the panels text-to-speech. Create personalized notifications and rules with the interactive app. The wireless tilt sensor works on tilting doors; it's an easy solution for your garage door. The IQ Motion-S is an encrypted PIR that is as powerful as it is affordable. Leveraging our proprietary S-Line Technology it encypts signals sent to the IQ Panel 2 while still providing support for the IQ Panel 1. Pet immune up to 80 pounds, The IQ Motion-S is designed to mount on a flat surface or in a corner, and at a variety of angles. 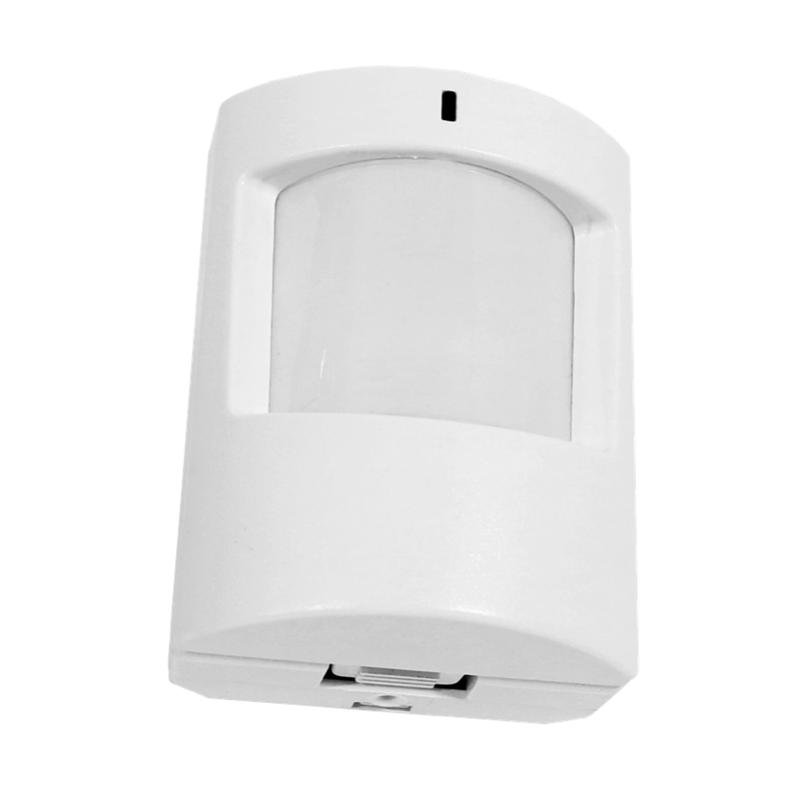 The Smart Motion Sensor is a breakthrough new product that combines a wireless motion sensor, an integrated still camera, with wireless communication with Alarm.com. The Qolsys IQ Glass-S sensor protects your home by detecting the pitch and frequency of sounds made from breaking glass. You’ll know instantly if an intruder has tried to enter your room through a window. The smart device will send a signal to your IQ Panel using secure S-Line encryption technology. The IQ Pendant is a single button device attached to a watch strap, used to trigger an emergency. Typically programmed to indicate a medical emergency, the IQ Wrist Pendant is perfect for the elderly or those with disabilities. The IQ Doorbell wires directly to a home’s existing indoor chime unit, turning any doorbell into a “smart” doorbell. 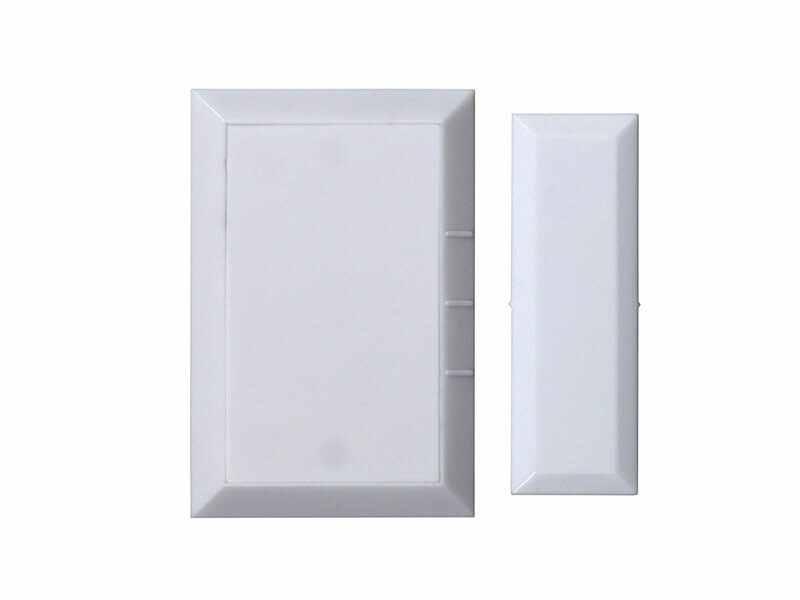 The simple, elegant and cost-effective approach eliminates the need to retrofit the outdoor button while maintaining the existing pre-wired bell and chime. Instantly making your home smarter, the IQ Doorbell can turn on your porch light or tell your exterior video cameras to start recording. Recorded video clips can be sent directly to your mobile device via text or email, so you know who stopped by. The small form factor easily installs with a standard screw driver, boasts an 8-10-year battery life and supports two pre-wired bells. The IQ Siren is the perfect way to make your alarm even LOUDER when the alarm goes off. Completely wireless it plus into any standard outlet and even includes 3 LED lights that strobe during alarm events. Acting as a Z-Wave repeater, it strengthens and improves your smarthome network improving the performance of all your devices.